Question: We moved into a new apartment last week. In the apartment there is a small room that we use as a walk in closet. When we went into the room we immediately started sneezing and feeling ill. A thorough investigation revealed a large ugly mold fungus infection on the wall near the top of the ceiling and around the window. Should we start treatment with a biocide product or is that safe? How do we go permanently get rid of this horrible mold problem? Answer: You should of course find the reason the window leaks as this is the likely cause of the mold being in that area. The leaky window seal makes the area wet and this is the reason for the mold in that exact area. First try to scrap the mold into a garbage bag while you wear a mask to filter the spores. Next spray it with a powerful fungicide and that should kill it off (or you can actually use a DIY mold removal mixture, see below for DIY mold killers). Make sure to keep an eye on it and reapply the fungicide if it continues to grow. After the mold is DEAD and GONE, scrape the sealant from around the old leaky window and then reapply a good waterproof sealant around the window to prevent further water from entering your room. NOTE: before you do any mold removal yourself, read the EPA website and see if any of the standards for Mold Removal have changed or better recommendations are presented. A powerful disinfectant to get rid of patches of mildew and mold in bathrooms, cabinets, windowsills and other smaller areas around the home. Try to wipe off mold or mildew first and then spray on surfaces. Next wipe off the mold but leave the spray residue on the surface to keep mold from coming back. Mix the ingredients in a spray bottle and shake. Spray affected area and Let sit for ten minutes. Next wipe off mold mildew with a clean rag and allow to completely dry. Mold is an organism which is neither plant nor animal. They are part of the fungi family. Unlike normal plants mold does not get energy from the sun through photosynthesis. The sun’s ultraviolet light inhibits all mold growth. Mold eats the material they are growing on. 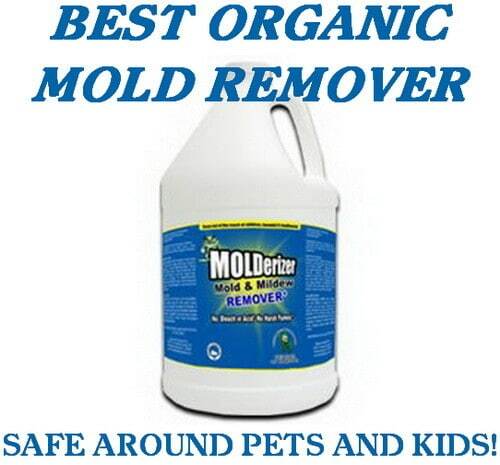 The role of mold is to break down decaying organic matter such as dead plants, leaves or dead animals. Sometimes because of conditions in your home such as moisture, mold will grow easily.